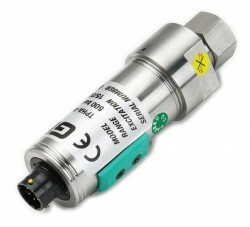 The TPHA ultra high pressure transmitter utilises an extremely robust stainless steel 15-5 PH diaphragm to measure very high pressures in applications such as hydraulic testing, water cutting machines, common rail diesel injection test rigs and ultra-high pressure sterilization in the food industry. 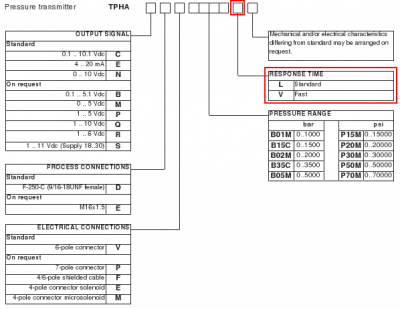 I have a query about the TPHA high range pressure sensor, we have a client that requires the part number TPHA-NDV-P20M-L but we cannot find the data sheet for the TPHA. Can you help me find this product? The TPHA has been replaced by the TPHADA which is basically the same device as before except that it now has a digital auto zero and span feature, instead of manual adjustment potentiometers. The equivalent part number would now be TPHDA-NDV-P20M-T. The main changes to the part number coding are in the prefix which has changed from TPHA to TPHADA and the end code for response time of Standard (L) or Fast (V) which has been replaced by a new fixed code for accuracy of 0.1% FS typical, 0.2% FS max. We are at the stage where we need to connect our 2400 high response digital indicator to the TPHADA high range pressure transmitter with 4-20mA output, but there are four wires coming out of the transducer. Do you know or have a diagram on how to connect them together? The 4-20mA version of the TPHADA uses a 2 wire current loop configuration, so only two of the wires are required to power and send a signal to the 2400 display. On Page 3 in Current Amplified Output – mod. E table of the TPHADA data sheet, the cod.F column shows the wire colour coding for 2 wire 4-20mA output. Red is positive and Yellow or Black (depending on the cable type) is negative. Blue and Orange are used for shunt calibration purposes and rarely used so I suggest isolating them. 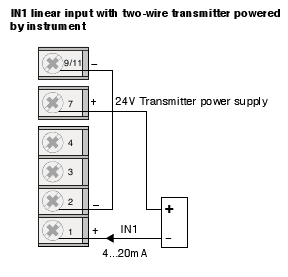 For the 2400 you will need the configuration diagram on page 11 bottom right “IN1 linear input with two-wire transmitter powered by instrument” of the manual (see 2nd image below), it is important to add a link as shown between pin 2 and 9/11, this configures the loop to be powered by the 2400 indicator. Please select the options you require for the TPHADA Ultra High Range Pressure Sensor in your application and request a quote. Send us your enquiry for TPHADA Ultra High Range Pressure Sensor to get assistance with this product type.